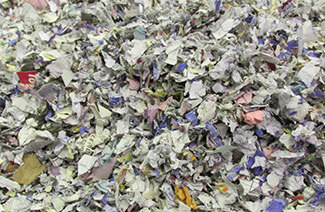 We offer the complete, affordable solution to safeguard the security of your company’s confidential materials. 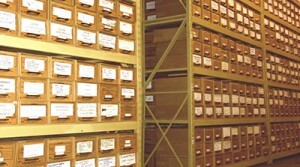 We now offer document storage and retrieval for your confidential information at our secure facility. In today’s competitive business world, your company’s most valuable asset is information — in the form of documents (financial records, personnel files, payroll data, customer lists, contracts, marketing plans, etc. ); multi-media (CDs, DVDs, X-rays, audio/videotapes, etc. ); and e-scrap (hard drives, cellular phones, electronic storage devices, etc.). But problems can arise when this information is no longer required, because it is often discarded carelessly. In fact, under various state and federal regulations, including the 1974 Federal Privacy Act, if your personnel files or other types of records are disclosed to outside parties – even by accident – it could be grounds for a lawsuit or significant fines. Shredding is the most reliable and cost-effective way to ensure complete, irretrievable destruction of your unwanted or obsolete records, so they won’t fall into the hands of the wrong people. Our maximum security facility is conveniently located right here in Western Pennsylvania. Our high capacity destruction equipment is well known for its ruggedness and reliability. Our customized service, perfected by over 20 years of experience in the industry, make us uniquely qualified to handle all your destruction needs. 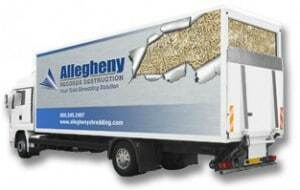 So let Allegheny do your shredding! Our reps look forward to your call. Copyright © 2019 Allegheny Records Destruction. All Rights Reserved.